This profile takes a decent understanding of the Orcust deck works to figure out. I'd strongly recommend learning that before diving into this profile. This deck utilizes the basic Orcust combos whilst taking advantage of the new support. The Counter Trap, Orcustrated Climax, is an Infernity Barrier (Monster and Spell/Trap effect negation) for the archetype. Their new Xyz monster Sheorcust Dingirsu is quite the beast of a boss monster but doesn't take away the spotlight from Orcustrion, the original boss monster. You can only Special Summon "Sheorcust Dingirsu(s)" once per turn. You can also Xyz Summon this card by using an "Orcust" Link Monster you control as material. If this card is Special Summoned: You can activate 1 of these effects. 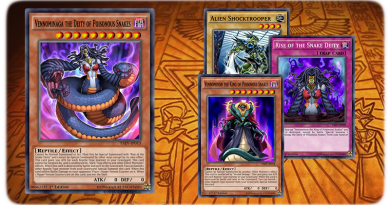 ● Send 1 card your opponent controls to the GY. ● Attach 1 of your banished Machine monsters to this card as material. If a card(s) you control would be destroyed by battle or card effect, you can detach 1 material from this card instead." I'll focus on the Xyz first. Dingirsu is a Rank 8 monster that can be summoned by using a Link Monster instead. This allows it to combo well with the archetype and with certain other cards. If you have proper setup, you can end with it on-board and your basic Orcust board too. 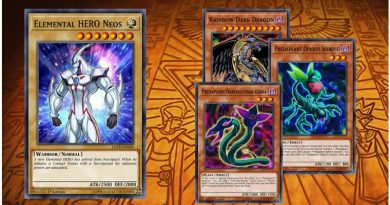 This cards first Special Summon effect allows it to remove a problem card from the opponents field without targeting or destroying. The second Summon effect be used to support the material detachment effect. Destruction protection is always a handy thing to have on a card especially if it protects your other cards. If this card is in your GY, you activate Orcust Symbol Skeleton to Special Summon Dingirsu. A big plus would be having Orcustrated Babel on your field during your opponents turn because Quick Effects are always good! "Once per turn, during either player's turn: You can detach 1 Xyz Material from this card and declare 1 Attribute; this turn, all face-up monsters on the field become that Attribute, also all monsters in your opponent's possession with that Attribute cannot activate their effects or attack." 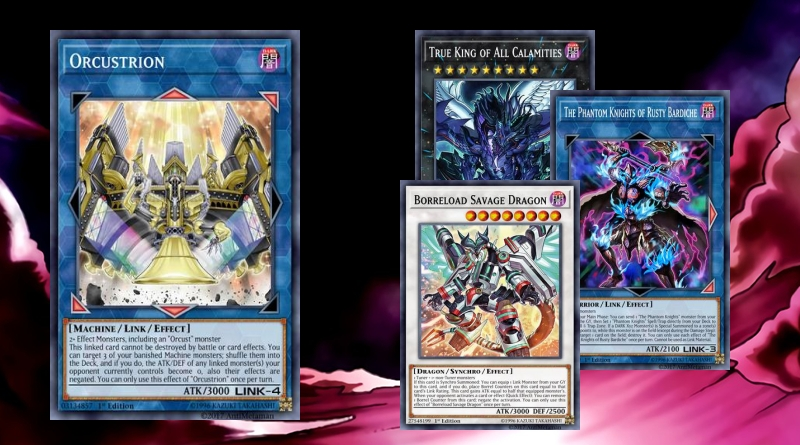 You can search the Rank-Up-Magic via The Phantom Knights of Rusty Bardiche Deck mill and Set effect or The Phantom Knights of Silent Boots banish effect. 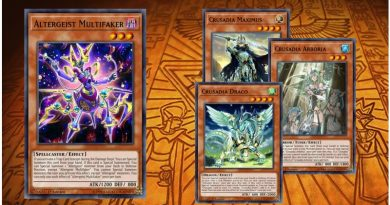 "When a Spell/Trap Card, or monster effect, is activated while you control an "Orcust" Link Monster: Negate the activation, and if you do, banish that card. You can banish this card from your GY; add to your hand, 1 of your DARK Machine monsters that is banished or in your Deck. You cannot Special Summon monsters during the turn you activate this effect, except DARK Machine monsters. You can only use 1 "Orcustrated Climax" effect per turn, and only once that turn." Orcustrated Climax is a very powerful card because of negation and searching. This card is one of the card that makes Orcust be able to stand up against other meta decks. The post-searching restriction is somewhat annoying, but it's needed to keep the card balanced. 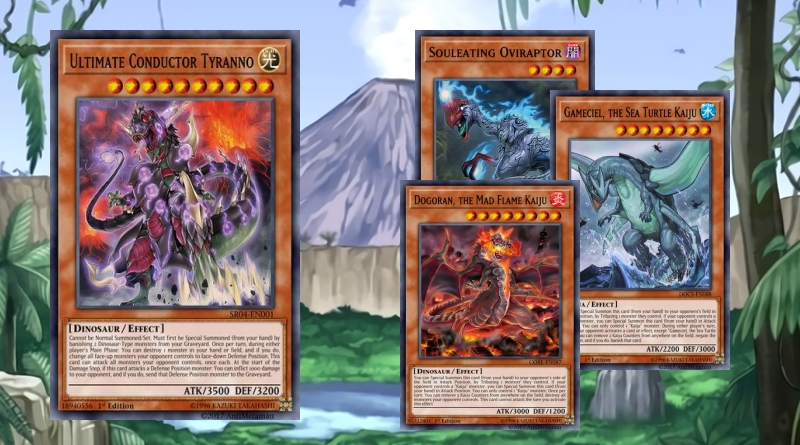 I noticed it can be used other decks such as Kozmos and DARK-Machine (Barrel Dragon) decks to get key cards but you probably aren't playing Orcust Link Monster in those so Foolish Burial Goods is a nice second.